Welcome to King of Bounce ! Office Closed TUESDAY, SATURDAY and SUNDAY in Route making deliveries leave message. Get your route drivers info for emergencies. Price date and calendar on our interactive website were you can book online and checkout using our shopping cart system. Almost every question you have can be answered if not call or contact us no problem we can help! Please be advise no elevators,stairs and steep inclines. SATURDAY PICKUP BET 9 am-12pm ARE AVAIABLE, PLEASE CALL THE OFFICE FOR FURTHER ASSISTANCE. Book now or call the office for further details. Price includes 3 day rental Fri-Mon - 3 Days for the price of 1! 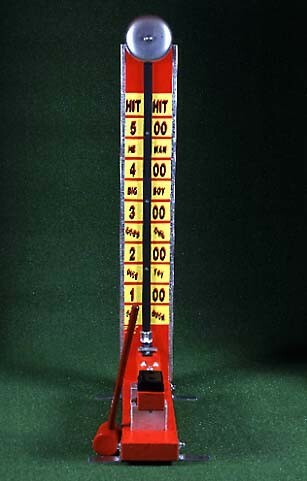 Units vary in weight so we cannot give an accurate weight. Our minimum pickup is a $25.00 order which includes Friday, Saturday and Sunday, returning Monday before noon for the same price. All pickups are picked up at this location on Fridays ONLY! Between 9am-12pm - All items must be returned the following Monday between 9am-12pm. We do not accept prepaid cards to hold deposits. It must be a valid debit or credit card. All pickups require a deposit based on the Item reserved. 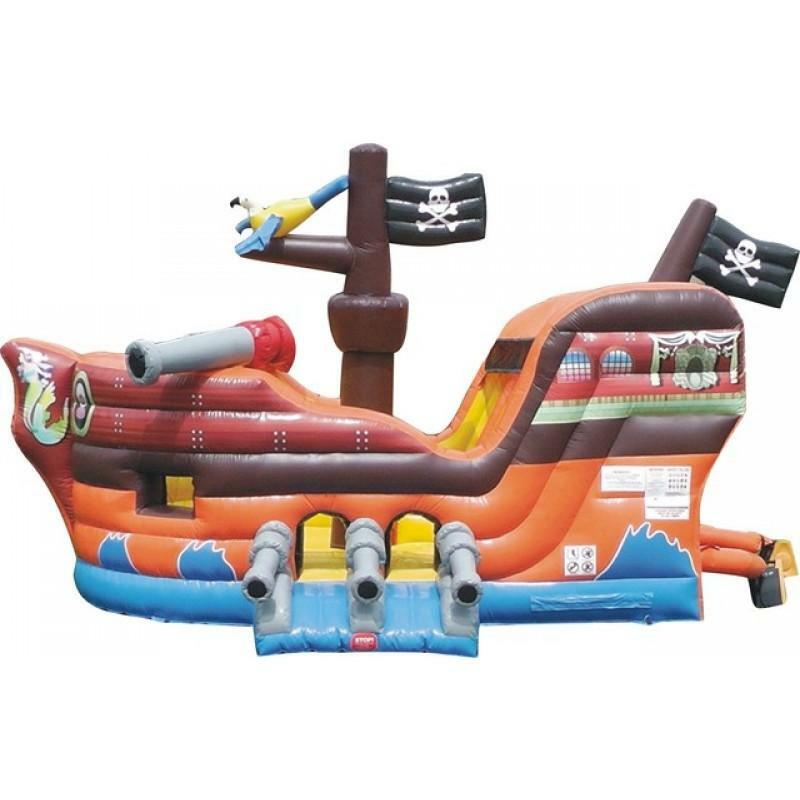 (Example: Basic Bounce houses are $100.00 Deposit.) Deposits Vary Per Item. All deposits are paid the day of pick up with a credit card kept on file until items returned. Credit card owner must be present with valid ID to use their card. Valid ID required for pickups - We do not accept credit cards that are not in your name. All deposits are refunded the following Wednesday after the units or items have been inspected for damages. All pickup prices are CASH PRICE (exact amount we do not carry change) we DO NOT TAKE CREDIT CARD for payment. Credit card is only used for deposit and cannot be used for the payment. The discount requires CASH. All pickups require a open truck or trailer and manual labor to help load. Sometimes our guys are out delivering and help is required. We do not include a dolly in your pick up. Do not wet units that are dry units it is dangerous and may damage the unit you can be charged a dry out fee. We are not responsible for any damage to vehicles or personal injuries to any person on or around King of Bounce loading and unloading areas. 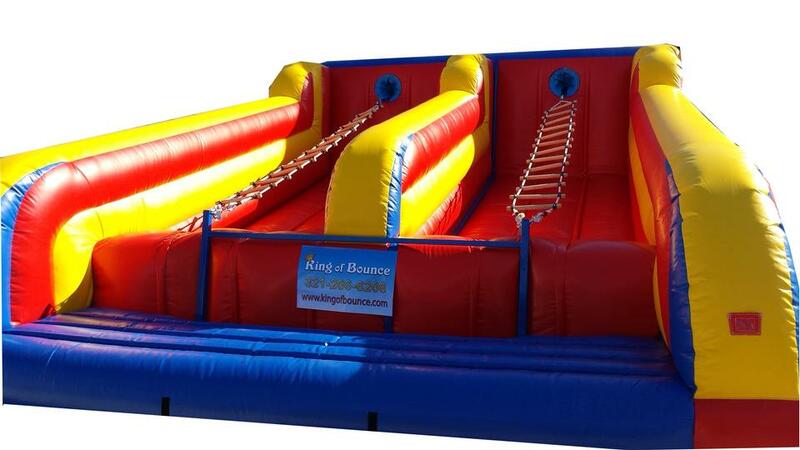 King Of Bounce is a family owned and operated business for the last 10 years. We are licensed and insured and we provide the best variety and cleanest units on the market. 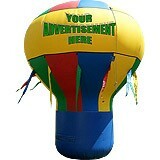 We have very competitive pricing and we cover most of Central Florida. 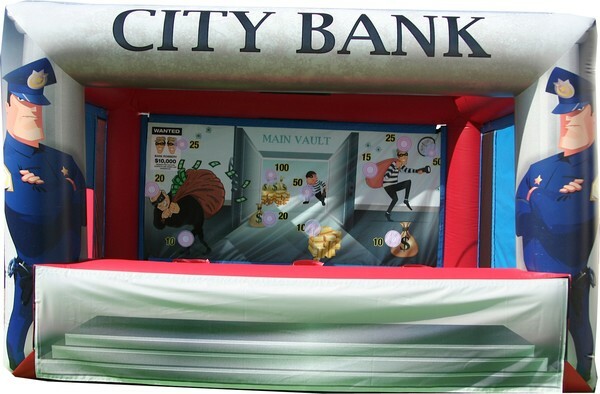 We offer Bounce Houses, Dunk Tanks, Moonwalks, Wet/Dry Slides, Wedding Services, Interactives, and Event planning. 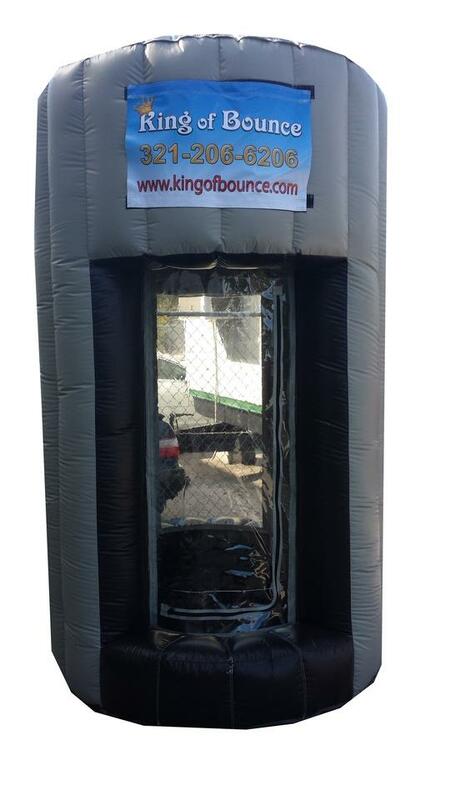 Whether it's a birthday or a holiday, King Of Bounce can plan your party from start to finish. 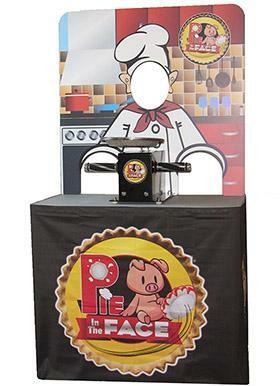 We strive to make your party a worry/stress free experience so you can enjoy the party too! What are the drop-off and pick-up times? Pick-up time: Fridays ONLY between 9:00am and 12:00pm. Drop-off time following Monday: between 9:00am and 12:00pm. Absolutely! 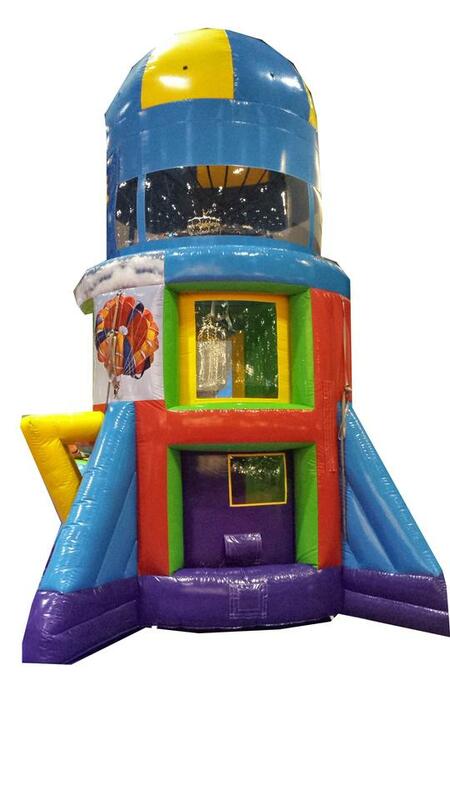 We will deliver and set up each bounce house and make sure that it's clean and in good working condition. Set up takes about 15-20 minutes and requires a 120V circuit with a minimum 15 amp breaker which is standard on most homes. We provide everything needed for set up. What are the bounce house rules? Adult supervision required at all times No shoes, eyeglasses, food, gum, candy, markers, crayons, pens or drinks No wrestling or fighting No Silly String! What type of surface is needed? The safest surface is a level grassy area. However, we can set up on concrete, asphalt, or bark. 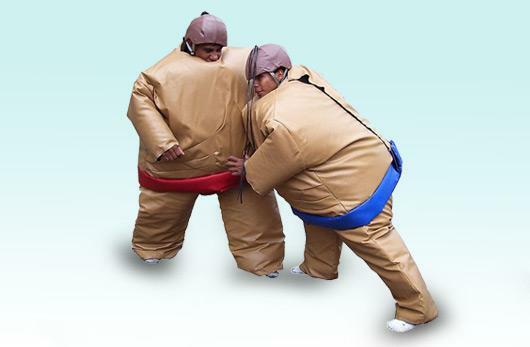 Please specify when ordering which surface your using for us to supply proper equipment. What do I do in the event of inclement weather? We know that the weather/emergencies can be unpredictable and very harsh at times. We don't want to run the risk of damage to our equipment, injury to the children or our contractors. So, our policy is very simple. If you cancel for any reason before we setup, we will use your deposit for 30 days towards a future rental (hopefully you will try to reschedule and we will do our best to accommodate the request). However, once we deliver and setup the product, no refund is available regardless of the circumstances. There is also risk in high wind situations. Although it does not happen often, there are times when we will have to decline setup if we feel it would be unsafe to use the equipment. Winds and rain in excess of 15 - 20 mph would prevent us from safely anchoring the unit.